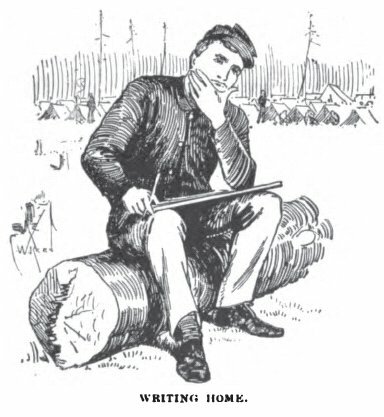 The following list is provided as an index of soldiers' letters related to this blog that appeared in newspapers during the Civil War. These "public" letters often provide more relevant information and answer historians' questions more directly, as the letters very intentionally catalog the events in the life of the regiment (and soldiers' reactions to them) for readers in Lancaster. The list primarily documents letters written by soldiers of the 79th Pennsylvania for publication in hometown newspapers. I will also include letters from other Lancaster County soldiers who fought in the Western Theater, which besides a few stray letters consists of soldiers in the 77th Pennsylvania and 9th Pennsylvania Cavalry (after 1863). If you are interested in this type of resource, I recommend that you check out Richard Sauers' index of soldiers' letters appearing in newspapers across Pennsylvania, a copy of which you can find at the United States Army Military History Institute in Carlisle, PA. Additionally, Bowling Green State University has an index by regiment of letters in the Church Advocate, a religious newspaper printed in Lancaster during the Civil War. For other collections of Pennsylvania soldiers' letters online, see the Pennsylvania Reserve Volunteer Corps Historical Society website (drill down by regiment) and the PA Civil War Era Newspapers project (e.g., search "Army Correspondence" in the Columbia Spy for a bunch of 45th Pennsylvania letters).